My on-going quest to conquer bland mayo-based picnic salads has now lead me to macaroni salad. Not only is this curried version packed with healthy farm-fresh vegetables and savory flavors, it’s barely recognizable as that drab slop we call macaroni salad, usually doused in mayo. This is a good thing. 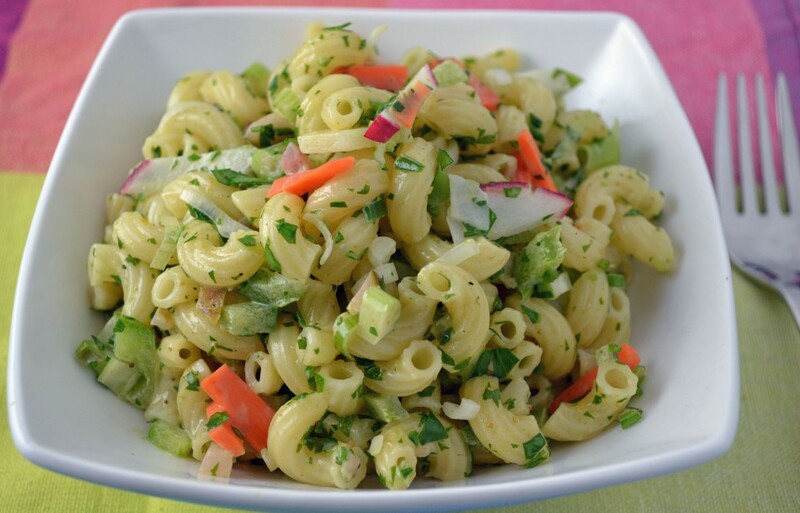 If you are a mayo lover, you can always add a bit more mayo for that saucy texture but as it stands, the curry powder combined with the parsley and scallions makes this simple pasta salad unexpectedly flavorful. Like most others in my possession, this Curried Macaroni Salad recipe was written 50 years ago. It seems surprisingly innovative – curry powder, chutney, and multiple fresh vegetables don’t sound like they belong in a macaroni salad born in the 1960’s. But that creativity has proven to be one of my grandmother’s legacies. Just recently, one of her good friends recalled my grandmother’s love of Indian food (she loved all types of international foods). This is one of a few recipes in “The Art of Good Cooking” that contains curry powder or some sort of ingredient that we often associate with Indian food. And just like the others, the amount of curry powder (or spices used) must be adjusted because apparently they were much weaker in those days (2 tablespoons per pound of pasta!). The last addition I would like to call your attention to is the chutney or relish. I’m not 100% sure what she referred to as chutney in those days or how many different kinds there were but I’m sure it was nothing like the variety we have now. I love the addition of chutney but be careful when choosing what type to use. That spicy red pickled mango chutney might not be the best option but a green cilantro chutney is delicious (reduce from ½ cup to just a few tablespoons though). Plain relish also works well but it’s not as exciting or perhaps “international” as my grandmother may have intended. Rinse macaroni in hot water and keep warm. Combine mayonnaise, curry powder and wine vinegar in a small bowl, and pour over warm macaroni. Add remaining ingredients; toss gently. Allow to come to room temperature. Note: Bits of tuna fish or smoked meat may be added to this dish to make it more substantial. 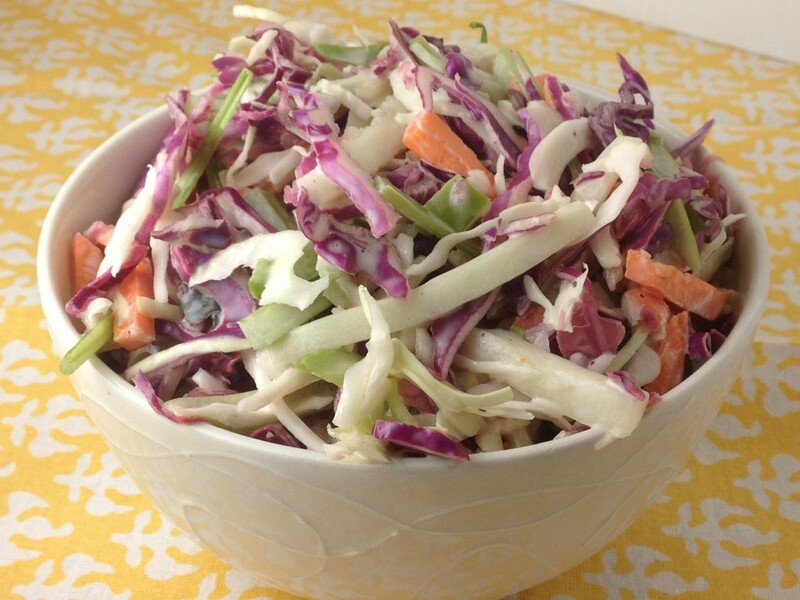 In the interest of the hot summer days ahead, I’m continuing my testing of easy classic salads. 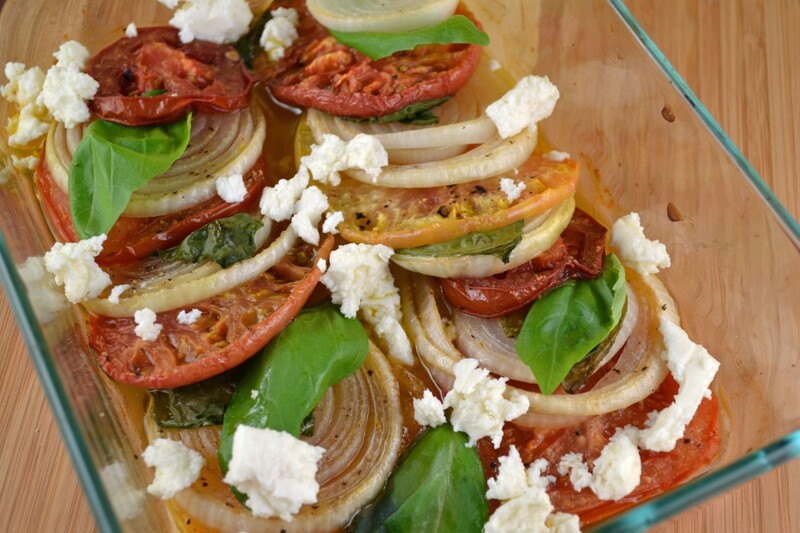 The simplicity of some of the salad recipes in “The Art of Good Cooking” is refreshing. The base of this potato salad recipe, for example, has just five ingredients (not including the dressing). 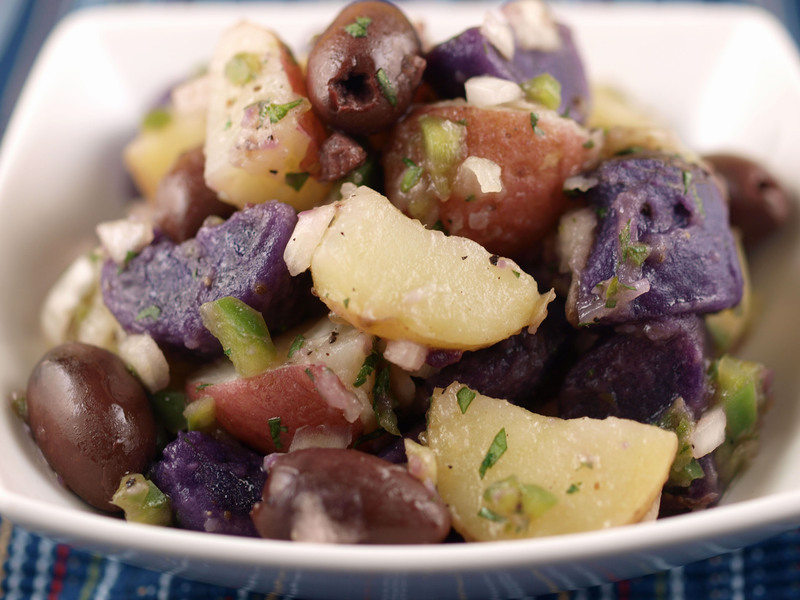 To change it up a little, I added kalamata olives and used tricolor baby potatoes. You’ll find these bite size potatoes sold in mesh bags which usually include purple “Peruvian” potatoes (who’s skin, I found, falls off easily after cooking), red potatoes, and white potatoes- similar to fingerlings. You could, of course, use all one type of potato, but what’s the fun in that? Potato salad has somewhat of a lengthy history that’s intertwined with the long and overwhelming history of the potato, of course. As a basic salad that includes potatoes and some kind of dressing, many different countries (mostly European) have their own versions. Though I haven’t been able to find any official documentation, it seems German potato salad was one of the first (or the first) potato salads to make it to the US. Interestingly, my grandmother mentions in her notes for this recipe that German potato salad normally contains mayo, but that this vinaigrette version was preferred by her family. I always thought the opposite: that German potato salad never had mayo and always had some type of vinaigrette. After a little research, it appears that different parts of Germany have different “traditional” German potato salads. Some are creamier and often contain mayo, while others do not. I included two sets of instructions below: the original and modified. Since I often don’t want the extra heat from the oven in the summertime (and prefer a quicker version), I like to simply cook the potatoes and dress them. The original recipe requires cooking and then baking them. Both methods are delicious. 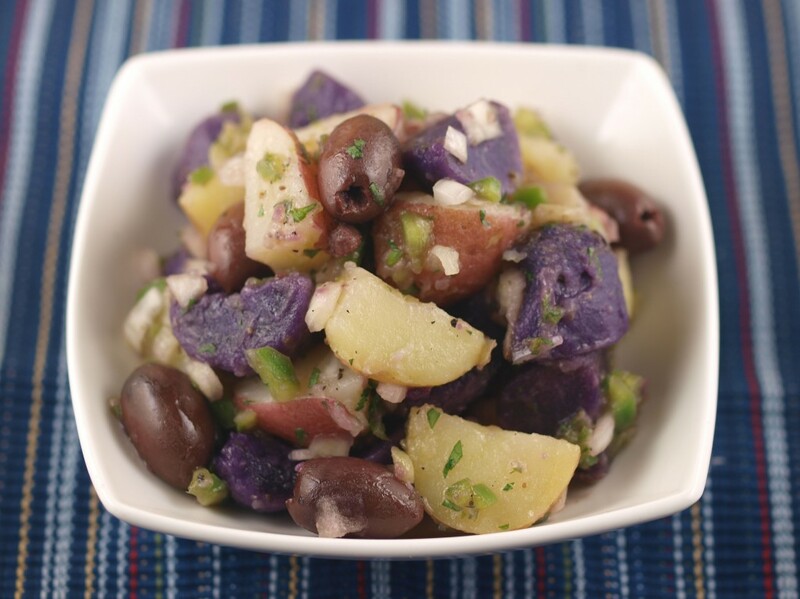 Since potatoes hold up well to seasoning and salt, kalamata olives are a welcome contrast in both texture and flavor. Pack this one away for your next party in the park and happy picnicking. Wash potatoes; place in a deep pot. Cover potatoes with water and stock. Bring to a boil, then lower heat and simmer until potatoes are tender when pierced with a fork. Drain and cool until they can be easily handled. Peel the purple potatoes. Cut all potatoes in quarters. Whisk together oil and vinegar until emulsified. Add vinaigrette to warm potatoes and refrigerate until cold. Add olives, minced onion, green pepper, and chopped parsley. Wash potatoes; place in a deep pot. Cover potatoes with water and bring to a boil. Lower heat and simmer until potatoes are tender when pierced with a fork. Drain, cool, and refrigerate until they are cold. Peel the purple potatoes. 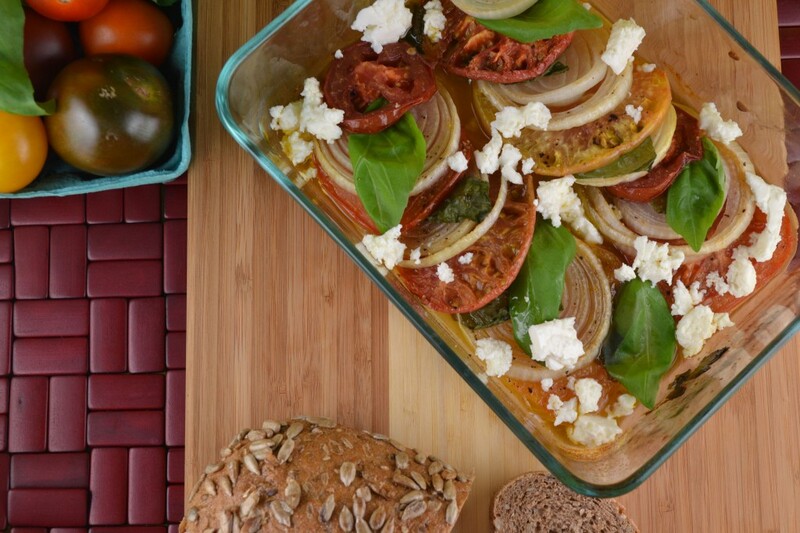 Slice all potatoes and place in an oven-proof dish. Add chicken stock, olive oil and vinegar, and season with salt and pepper. Place in a 350 degree oven for 1/2 hour, or until the potatoes are hot and liquid is simmering. Remove potatoes from oven and allow them to stand until lukewarm. Add olives, minced onion, green pepper, and chopped parsley. Chill and serve.